The Bullfrog is the granddaddy of the frogs at Serosun, being the largest frog around. These are voracious eaters that will take down anything they can handle, including other frogs and sometimes snakes! They tend to show up in larger ponds and lakes and other more permanent bodies of water. Their call is very distinctive and is a welcome sign of summer. The Green Frog is more common and is a little smaller than the bullfrog. These generally inhabit smaller bodies of water including streams, brooks, and temporary ponds. They are the typical frog you will see while wandering among ponds and marshes. 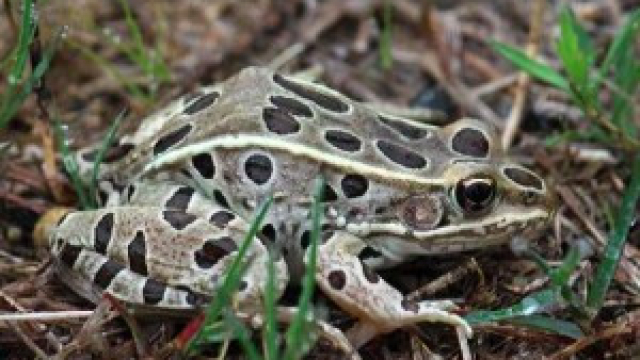 There are several varieties of the Leopard Frog, but the one we have seen around Serosun is the Plains Leopard frog. These frogs are green with characteristic spots that give them the leopard name. 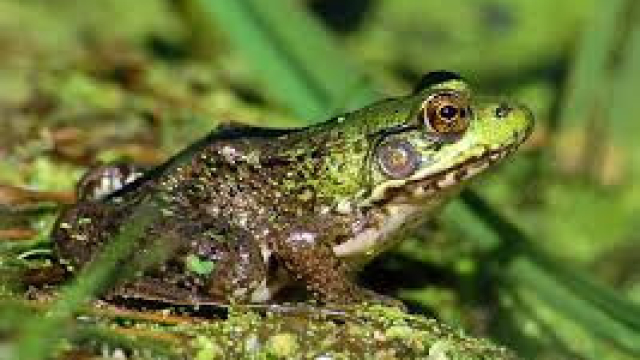 They are similar in size to the Green Frog and often inhabit smaller bodies of water like marshes and streams. However, they can also be found some distance from water in wetlands and grassy areas. An interesting dynamic exists between these frogs, as they fill slightly different but overlapping niches. Bullfrogs are at the top of this frog hierarchy and will often eat smaller frogs if given the chance. 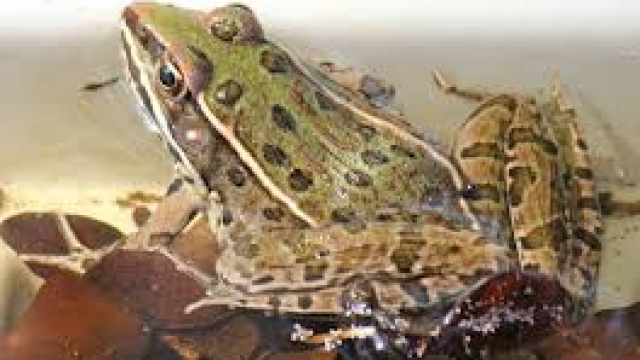 Because they typically occupy slighting different water and wetlands habitats, these frogs can coexist with each other in a larger general area. With enough variety in habitat, as we have at Serosun, you have the opportunity to see all of them.